Technology reviewer Marques Brownlee on YouTube is well known for his in-depth and high quality videos. 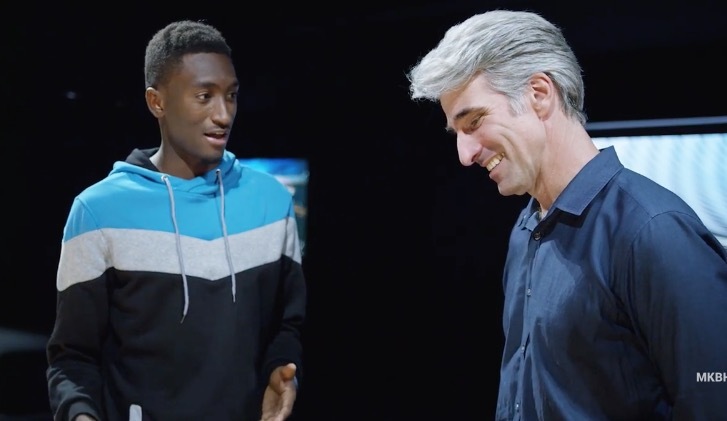 Also known as MKBHD, Brownlee landed an exclusive one-on-one interview with arguably Apple’s most exciting executive, Craig Federighi. Brownlee talks with Federighi about the latest MacBook Pro models with Touch Bar. During the five minute video, Federighi doesn’t really reveal anything new about the new MacBook Pros, but did say “a lot of things had to come together” for the update to come out now. Rarely does an Apple executive provide solo exclusives like this, so kudos to Marques. I can only think of John Gruber having Phil Schiller on his live podcast at 2015 WWDC, while again repeating the feat at WWDC 2016, with the addition of Federighi.